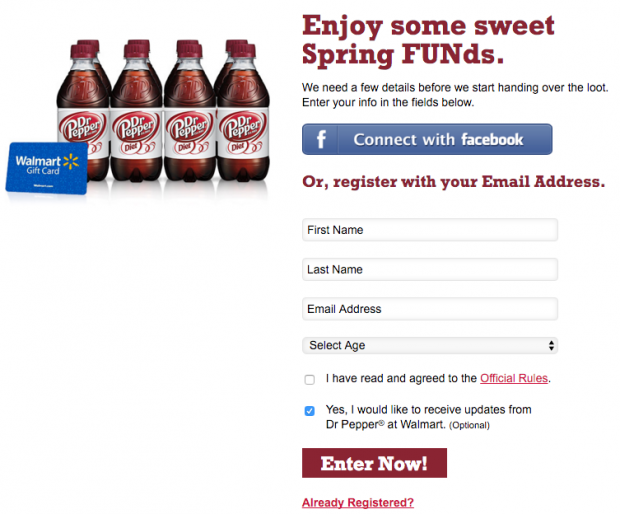 Win A Chunk Of The Spring #SweetFUNd From Diet Dr Pepper! 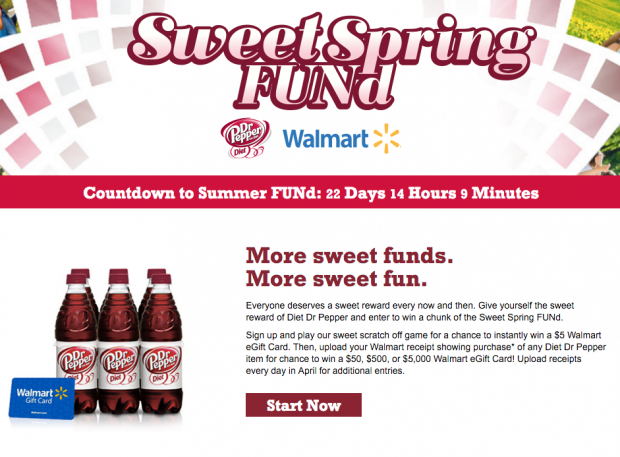 You are here: Home / Sponsored / Win A Chunk Of The Spring #SweetFUNd From Diet Dr Pepper®! Win A Chunk Of The Spring #SweetFUNd From Diet Dr Pepper®! Everyone deserves a sweet reward every now and then! Give yourself the sweet reward of Diet Dr Pepper® and enter to win a chunk of the Sweet Spring FUNd – $5, $50, $500, or $5,000 Walmart e-Gift Card! Dr Pepper has always been the essence of warm weather drinks! Fun and distinctive, light and invigorating! Diet Dr Pepper® continues the tradition of spring/summer fun without the calories! Now you make spring even better with this great sweepstakes from Diet Dr Pepper® and Walmart! Go to Walmart and purchase your Diet Dr Pepper®. Enter (or sign up and enter) the Sweet Spring FUNd giveaway for the chance to win a $50, $500, or $5,000 Walmart e-Gift Card! You also have a chance to win instantly! 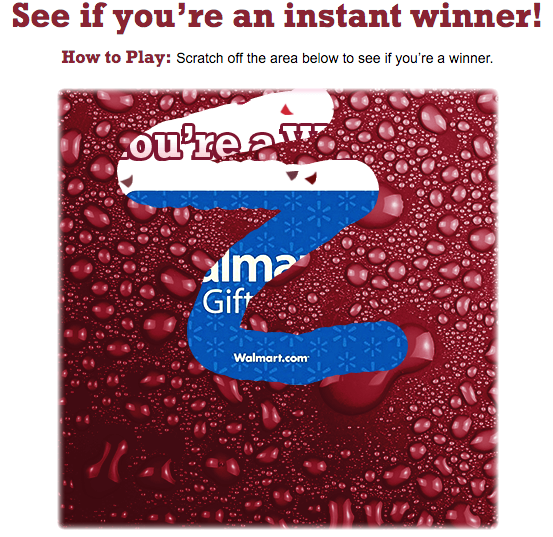 (WOOHOO, I won a $5 Walmart e-Gift Card!) You may upload receipts every day until 4/30 for additional entries. Entering was so easy! 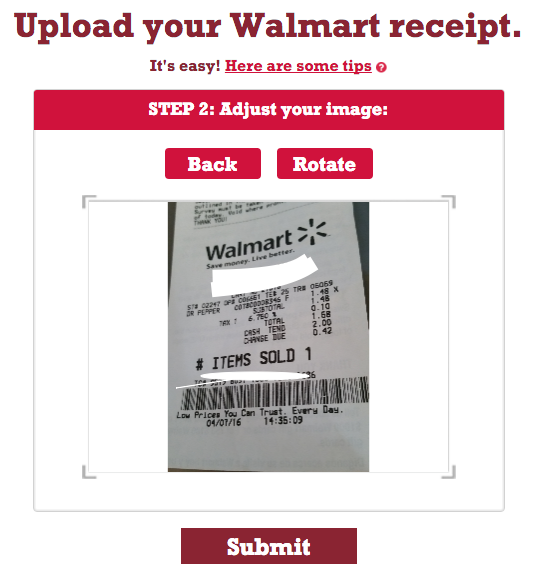 Then just snap a photo of your receipt and upload to get entries into the sweeps! Now sip your Diet Dr Pepper® and imagine what fun you could have this spring if you won a $5000 Walmart e-Gift Card! Good luck and keep entering through April 30th. Don’t forget if you have a receipt with Dr Pepper products totaling more than $10, you qualify for 2 entries! For more information, visit Sweet Spring FUND!